This guy has come up a few times in my searches, but I am reflexively wary of any “Asian child prodigy” story in the media. I’m happy to report that my suspicions are completely unfounded. George Li is 19 years old this year, and has already been performing publicly as a concert pianist for a decade. He has performed for Barack Obama and Martha Stewart, and appeared on a public television program devoted to young musicians and filmed at Carnegie hall called “From the Top,” when he was 11. This summer I kept getting news stories of George Li at the Tchaikovsky Competition in my Internet searches. He took 2nd prize (at least one Internet commenter thinks he was robbed ). He is also competing in the Chopin Competition later this year. He may become the youngest pianist ever to medal in two major competitions in the same year. Li may be the closest thing to a true “natural” the world has ever seen. His repertoire is so large and his playing so mature that I was almost certain he came from a family of musicians; his parents are apparently normal people with jobs. An older sister took piano lessons, and whenever the teacher would play a snippet of music they found little George intruding on the session. He was, by all reports, so incorrigible that the family was forced to let him take lessons of his own. Li’s technique is of the very first category. There are many great, world-class pianists who did not possess Li’s mechanism. In his playing there is a certain economy of movement—not just the usual precision and control—that is exceedingly rare. The best thing one can say about a young musician is that he will only be limited by how he develops as a human being. He played three concertos at the Tchaikovsky. He breezed through Mozart Concerto No. 23 with elan and served up a brisk Tchaikovsky 1st to this Russian audience. He seems to have a little trouble with rhythmic stability in his Prok 3rd but shows off his incredible fingers. Here is his preliminary round performance from the Chopin Competition, which will take place in October. I don't want to dwell on his wunderkind performances too much, but this video of him doing the Saint Saens Concerto in Venezuela when he was 12 really stands out. 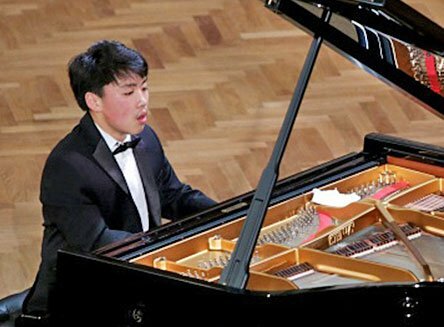 Nineteen-year-old pianist George Li, who hails from Lexington, has been awarded the silver medal in the XVth International Tchaikovsky Competition. Dmitry Masleev, 27, from Russia, took gold. Held quadrennially in Moscow and St. Petersburg, the Tchaikovsky Competition (aka the ‘musical Olympics’) features four flavors of musician: pianist, violinist, cellist, and vocalist. The goal of the Competition is to discover and showcase young talent; competitors range in age from 16 to 32. It was in the inaugural Competition, debuted during the height of the Cold War back in 1958, that American pianist Van Cliburn vaulted onto the international stage by overcoming a frigid Soviet judging environment and capturing first prize. (The eight-minute ovation following his final performance no doubt didn’t hurt.) No American has captured the gold since. This year’s competition, commemorating the 175th anniversary of its eponymous composer’s birth, attracted a total of 623 applicants from 45 countries. Over the past three weeks, an international array of staggeringly talented pianists has been competing through a grueling gauntlet of ever more challenging rounds. For the audition phase, 55 were invited to perform a 20-minute solo recital. The jury of 12 (including five Russians) scrutinized a 40-50 minute recital from each of the 36 Round I survivors. In Round II, 12 semifinalists performed completely different 50-60 minute solo recitals, as well as a Mozart concerto. The six selected as finalists, including four Russians, a Frenchman, and an American, were then required to perform not one but two concertos, in back-to-back fashion, including, not surprisingly, one of Tchaikovsky’s two completed works for the genre. Quite the musical marathon, for both musicians and jurors alike! All of this was broadcast live online via a high-quality production provided by medici.tv, featuring a variety of well-timed camera angles and surprisingly clear audio. Li, who studies under Wha Kyung Byun and Russell Sherman in the prestigious Harvard-New England Conservatory joint degree program, has been playing the piano since the age of four and performing with orchestras since age nine. He has collaborated with the Cleveland Orchestra, the Boston Philharmonic, the Norrkoping Orchestra of Sweden, and the Simon Bolivar Youth Symphony of Venezuela, to name a few, as his nascent concert career has already taken him around the globe. He was the winner of the 2014 Concours International Grand Prix Animato in Paris, third-prize winner in the 2015 U.S. Chopin Competition, winner of the 2012 Gilmore Young Artist Award (its youngest recipient), winner of the inaugural Cooper Competition at the age of 14 (including a full four-year scholarship to Oberlin Conservatory), and first-prize winner in the Young Concert Artists International audition in 2010. He is currently a Gilmore Young Artist and is on the roster of the Young Concert Artists. In 2011, at the age of 15, George performed at the White House at a State dinner for President Obama and German Chancellor Angela Merkel. Given his impressive musical résumé, it was no surprise that George’s lifelong pianistic odyssey left him more than ready for the daunting challenge that is the International Tchaikovsky Competition. This reviewer took in his Round I, semifinals, and finals performances via live stream from the ornate, composer portrait-festooned venue of Moscow State Conservatory’s Great Hall. George demonstrated music-making of the highest caliber throughout the three weeks of competition. In addition to jaw-dropping virtuosity, prodigious feats of memory, and consistent performance under intense scrutiny and pressure, George’s transcendent interpretations ranged from powerful to poetic, tender to volcanic. His depth of musicality was particularly apparent during his renditions of the three concerti. The intimacy of Mozart’s Piano Concerto No. 23 in A Major, K. 488 allowed his lyricism to shine through; in Tchaikovsky’s Piano Concerto No. 1 in B-flat Minor, Op. 23, his creativity, power, and artistic flair came to the fore. For the final work of the competition, George gave a boisterous, exhilarating reading of Sergei Prokofiev’s Piano Concerto No. 3 in C Major, Op. 26. Quiet and self-effacing in person, this is a musician who is completely in his element onstage. His dynamic, continual interactions with conductor, orchestra members, and audience give an immediacy and connectedness to his playing. His focus, reverie, and exuberance are a true joy to behold, as corroborated by the thunderous ovation that rained down upon George Li from the largely Russian audience, including that ultimate Slavic compliment: unison applause. What’s next for Li? In addition to concertizing in France over the summer, George will be preparing for the 17th International Chopin Competition, a three-tiered event held once every five years in Warsaw. After qualifying in April, George returns for the competitive rounds which begin on October 3rd and continue through the 16th. Go, George! 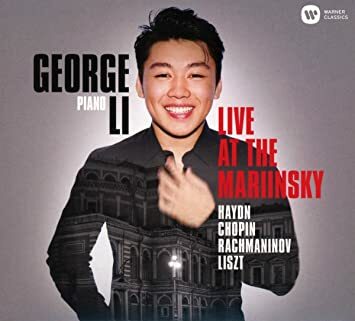 LOL I heard some stuff on WFMT this morning from the Chopin Competition and wondered why they didn't play anything from George Li since he seems to have a very strong fanbase in the US. Turns out he withdrew from the competition the day after I posted he was in it. Seems like he has competing engagements that he had to weigh against participating in the competition. I actually thought it was unlikely that Li would win the Chopin. More than any other competition I know of, the Chopin is very strict about it's standards of interpretation. Young musicians want to compete in the Chopin because of its prestige, but it really isn't for every type of pianists. I would like to see more pianists make a career without relying on the competition circuit, where they are given space to develop personalities outside of the limelight. This is truly the most painful and most regrettable decision I have ever had to make. International Chopin Competition with complete joy and determination. they are from the world’s premiere presenters, greatest conductors, and top-class venues. threaten my developing musical career! have the time and focus to be able to fully commit and prepare for the Chopin Competition. great International Chopin Competition and, therefore, is unacceptable! International Chopin Competition. However, I am not ready to completely give up my dream. While most philharmonic orchestras begin their seasons with the works of Beethoven, Brahms, or Mahler, the Los Angeles Philharmonic tried something different this year. Musical Director Gustavo Dudamel began his eighth season with the Los Angeles Philharmonic with a night celebrating 20th century American jazz. The performance was entitled “Gershwin and the Jazz Age” and started the philharmonic’s thirteenth season at the Walt Disney Concert Hall. Among those in attendance were Los Angeles Mayor Eric Garcetti, billionaire Eli Broad, comedian Larry David, musician Herbie Hancock, actors Christoph Waltz, Amanda Peet, Don Johnson and John C. Reilly, and legendary film composer John Williams. The evening began with a performance of Gershwin’s “I Got Rhythm” Variations which perfectly set the tone for the rest of the night. The man behind the piano quickly proved himself to be adept at hitting the keys in an extremely precise manner, a man whose ability to play the piano allowed him to navigate the piece with such ease —an amazing feat for a piece of such difficulty. Imagine my surprise when I found that the pianist, George Li, was only 21-years-old. Being only 19-years-old myself, I’m always inspired to find other young people making strides in their own industries. I caught up with George Li after the performance via email to talk about his past, present, and future career as a pianist. Adam Faze: First of all, congratulations on such an astounding performance. What an honor it must have been to perform with the Los Angeles Philharmonic on opening night. How did the opportunity come about? George Li: It was so unreal, and felt like a dream! I was notified about the concert about a month ago, while I was in Edinburgh playing a recital. I remember my manager was talking to me about it, and at first I couldn’t comprehend what she was saying. When it finally dawned upon me, I was still in utter shock and disbelief. AF: What was it like working with Gustavo Dudamel? Had you known him from before? GL: Again, it was a true honor, privilege and dream to be able to work with the maestro. Actually, I first met him when I was about 11, when he came to visit Boston with the Simon Bolivar Orchestra. I did an audition for him, and I remember how kind of a person he was, and how he encouraged me to keep going and to always strive for higher levels. We were supposed to play together in Venezuela shortly after that, but things didn’t work out. Because of this, I feel even more grateful, and feel that this is truly a dream come true! AF: You’re only 21 years old, and yet you’ve already played with some of the greatest orchestras in the world, won the Silver Medal at the 2015 Tchaikovsky Competition, and even played for President Obama and Angela Merkel at the White House. How did this all begin? GL: I started at the age of four. My parents are avid lovers of classical music, but don’t play because they didn’t have any opportunities while they grew up during the Cultural Revolution in China. But, I have an older sister, and when I was growing up she was playing the piano. I guess it was a combination of me watching her practice and going to her lessons, with being taken to many concerts in Boston and listening to the classical music radio station every night before falling asleep, that gently pushed me in the direction of starting the piano. AF: In the next few weeks, you’ll be performing in Russia, Germany, and Connecticut. 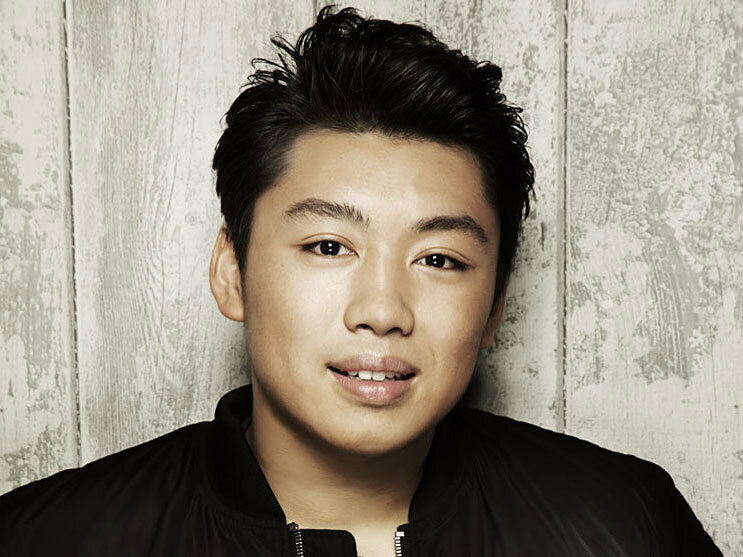 What’s it like to be touring the world as a renowned pianist at the age of 21? GL: It’s unbelievable! It’s really amazing to be able to go around and experience new cultures and meet different people, and then get to play for them and share my music with them. At the same time, it’s quite challenging in terms of having to live two lives at once – I’m still in my Junior year studying English at Harvard University – but regardless I love it tremendously. AF: Who are your biggest musical inspirations? GL: There are so many great musicians that I aspire to become and who inspire me, but my number one favorite pianist is Vladimir Horowitz, for his otherworldly artistry, for his ability to grab everyone’s attention with just a single note… There are just so many amazing things he does that give me inspiration! AF: Where would you like to see yourself in 10 years? GL: Ideally, I’d love to keep performing and playing for as many people as possible, to play around the world with amazing orchestras and conductors like Maestro Dudamel and the LA Phil, and in those countless fantastic halls. It always brings the most joy and energy to me when the music that I play is able to touch and change the lives of others. AF: There’s one question everyone will be asking themselves when they read this. How long do you practice for each day? GL: On school days, I try to get four or even five hours a day, and on weekends and holidays I practice for about seven to eight hours. AF: What’s your proudest achievement thus far? GL: This one ranks quite high at the top, as does winning Silver at the Tchaikovsky, but I think I have to say playing at the White House for the German State Dinner. There are no words to properly describe that experience, and it was one of those moments that I wished could last forever, when in reality it passed by within the snap of a finger. An unforgettable evening to say the least! Excerpts from some concerts Li gave in Russia, this CD includes a Haydn sonata, Chopin's Sonata No. 2, Rachmaninov's Corelli Variations and some encores. The selections are interesting given that the fat middle of the album consists of two works that are associated with two of the hottest pianists in the classical world right now--Seong-Jin Cho won the 2015 Chopin Competition with the less frequently played Sonata No. 1 and Daniil Trifonov recorded the Corelli variations in 2015 on an album that was nominated for a Grammy. My opinion of the album is that it's a wash. There are no flaws in the playing, but also no individual character. There are several glossy shots of a very photogenic Li on the album and in the liner notes (in one his hands are photoshopped to look like flames are emanating from his fingers), yet you wonder where the George Li is in the music. This is where most child prodigies hit a wall: when you've spent your whole life being admired for your technical ability and precocity, then suddenly you are an adult and nobody cares that you can play all the notes.